Limerick is a Hat that likes to bend the rules. 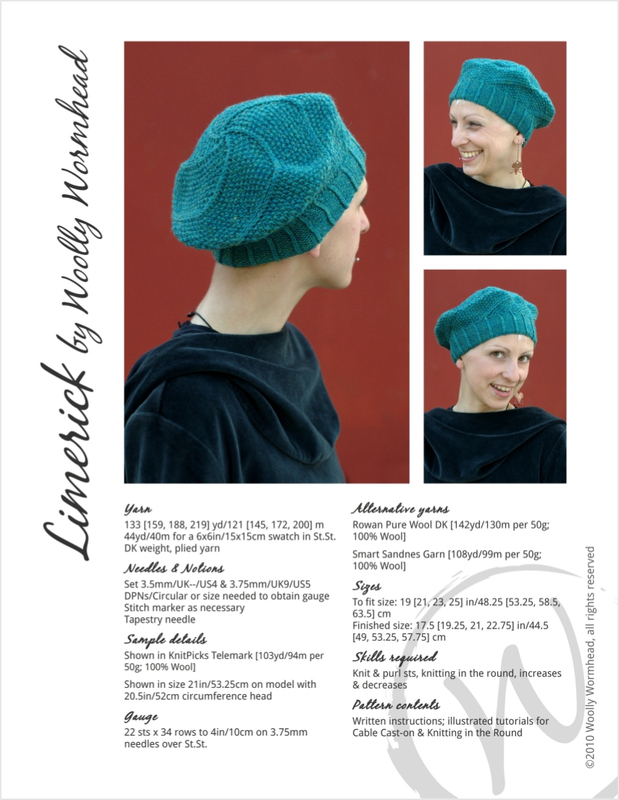 Instead of the usual multiples for a beret, here we work with the number five. 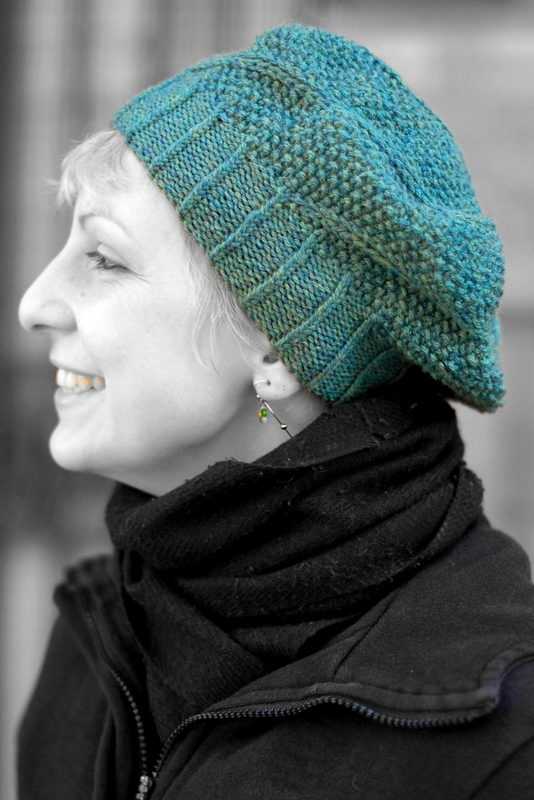 There are 5 lines spiraling around the body of the Hat which is knit on the bias to emphasis the shape and create its unique structure. Full of character, Limerick is sure to charm. 22 sts x 34 rows to 4in/10cm on 3.75mm needles over St.St.